Originally earmarked for development 25 years ago, Sungei Buloh Wetland Reserve is now an invaluable wildlife sanctuary for a diverse range of flora and fauna. We look at some highlights and successes over the years. Learn some simple do’s and don’ts when using Personal Mobility Devices in our parks and on park connectors. 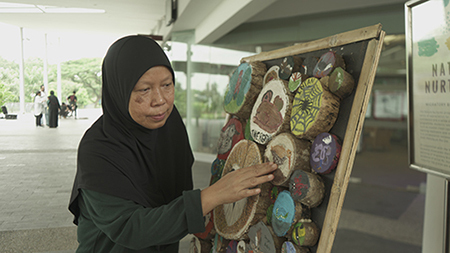 As Sungei Buloh Wetland Reserve turns 25 this year, we speak to Mdm Halilah Ahmad, who has worked at the Reserve, quite literally, from the first day. 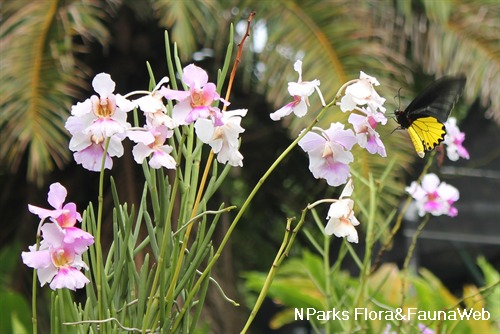 Singapore’s National Flower, the Vanda Miss Joaquim (Papilionanthe Miss Joaquim), turns 125 in 2018! To celebrate this occasion, here are 10 interesting trivia about this beautiful orchid hybrid. Explore the Ethnobotany Garden to learn about plants used by the indigenous cultures of Southeast Asia. We pick 10 interesting plants to kick off your journey of discovery. 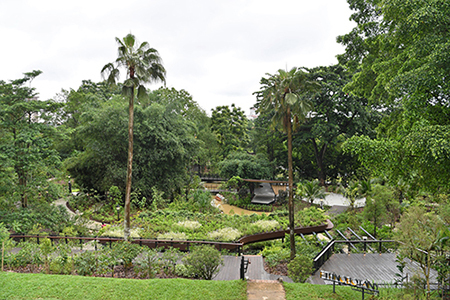 In this issue, we are giving away five Singapore Botanic Gardens 2019 calendars. Singapore’s wetlands are a biological treasure waiting to be discovered. To learn more about their diverse flora and fauna, we recommend three books available from the Gardens Shop. Our parks and gardens are ideal locations to rest and relax, or enjoy a hearty feast among friends and family. Check out the two new offerings in our green spaces. Do you remember your first visit to Sungei Buloh Wetland Reserve? It seems like almost everyone has at least one vivid memory associated with this place. This could be because many of us visited the Reserve during an excursion when we were in school. That trip could have been the first time we ventured beyond the comforts of the gleaming downtown malls or our homes to the edge of Singapore. It could also have been the first time we realised that Singapore is home to birds other than the sparrow, myna and crow! The Reserve has become so much part of our collective memory that it is almost impossible that there was time when we didn’t have such a sanctuary on our island. As the Reserve turns 25 year old this October, we rewind the clock, to trace the reasons for its set up, the highlights it has celebrated over the years and its important role in the conservation of wildlife. With so much new knowledge, it only makes sense to head outdoors. I suggest revisiting Sungei Buloh Wetland Reserve, to remember past memories and forge new experiences.